Will the last image of Fedor Emelianenko’s storied career be him knocked out by Ryan Bader in 35 seconds? If it is, Bellator President Scott Coker would be okay with that. 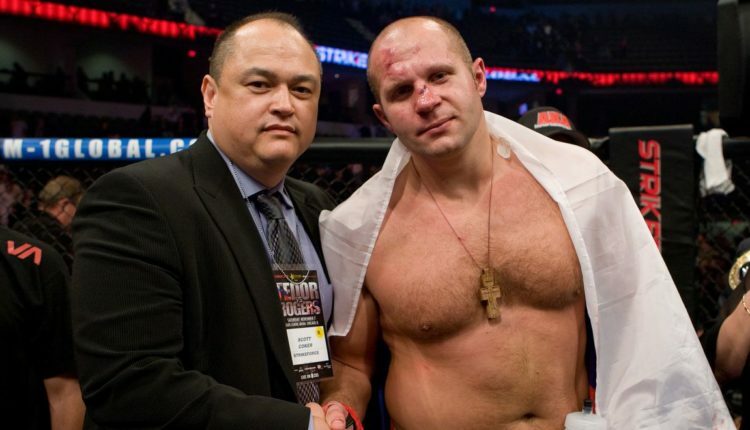 “It’s never easy to see your friends get hit and get knocked out and get hurt,” Coker said of Fedor, who has fought for Coker numerous times in Bellator and other organizations. Leading up to the fight with Bader, Fedor revealed that he was thinking “more and more” about retiring, now as a free agent, it may be his time to walk away.